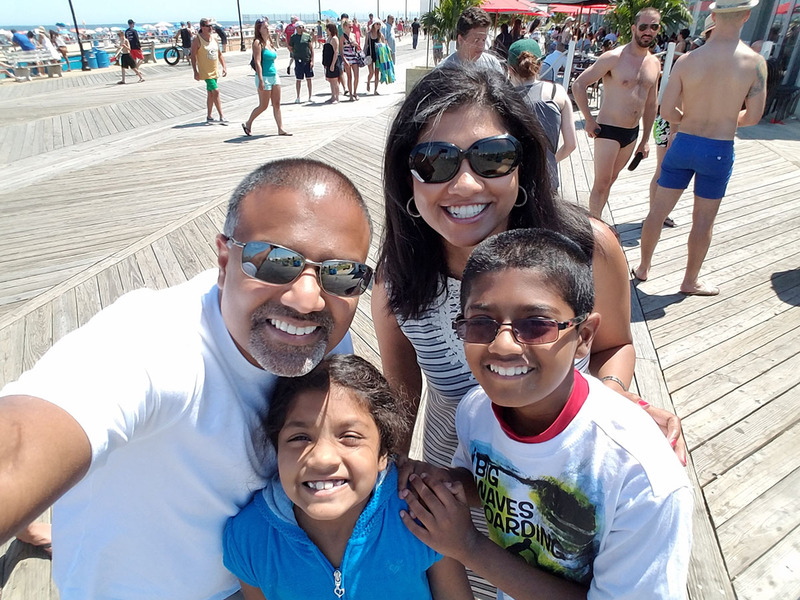 How the Ipes spent Father’s Day this year in Asbury Park | Tales From The Ipe! The Ipes spent a fun-filled Father’s Day together today, and I could not have been much happier. Our plans were to open presents, and then make for Asbury Park. For many years, I’ve expressed an interest in spending a day in Asbury Park. I’ve biked a few times through Asbury, and it seemed so interesting that it warranted a deeper look. We planned to hit up a food truck for lunch, hit a spray park, blow some glass, maybe visit the Silverball Museum, and have dinner somewhere in town. 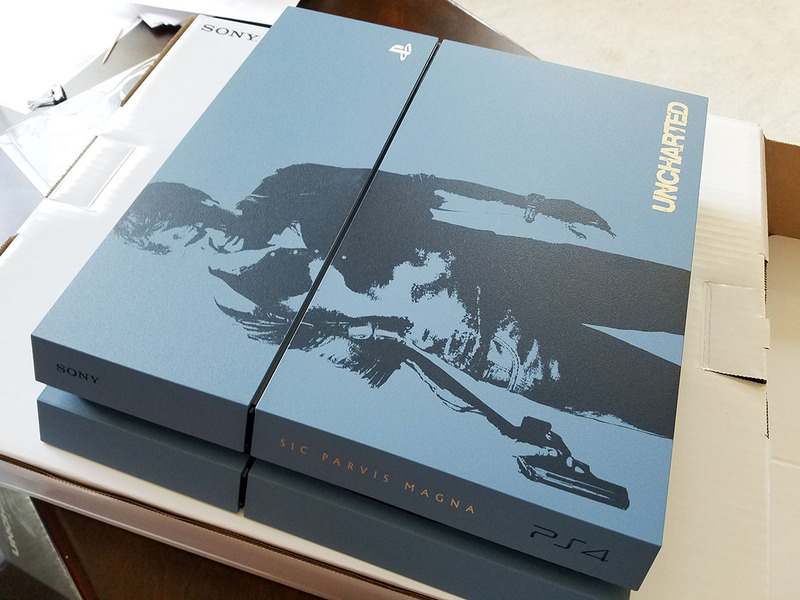 The kids (and Namita) were nice enough to get me a very cool present — a brand new Sony PlayStation 4 (the Uncharted 4 edition). Although I would have loved to stay home to play Nathan Drake’s latest adventure, we were off to Asbury Park. We found the boardwalk, and ate MOGO Korean Fusion tacos from their food truck. We then took the kids to this Asbury Park Splash Park. It’s not large by any means, but the kids had been dying to get wet. After they ran around for a while, we got them ice cream on cones to sit and enjoy. After all the ice cream, the kids changed in the car, and we drove over to Hot Sand a few blocks away. Basically, you can either take a class, or “walk in”. As walk-ins, you pick what you want to create, pick the colors, etc. We spent a small fortune to experience blowing our own glass under heavy supervision. Nums and I made glassware, Josh made a glass apple, and Lily made a hand print. All cool, but wow, expensive. We wouldn’t be able to pick up our stuff for another week, so we paid for everything, then took a walk around the neighborhood. We walked around and make our way to an early dinner at Moonstruck. It’s a 3 or 4 floor restaurant right along the river. Let me tell you, if you have a chance, go eat at Moonstruck. Amazing food, great drinks at the bar, and the service is damn attentive. And that was our day in Asbury Park. Nice little town that’s up and coming, and experiencing a revival. This entry was posted in Personal and tagged asbury park, fathers day, hot sand, mogo, moonstruck, playstation 4, sony, spray ground. Bookmark the permalink.